Kielder Water and Forest Park, which was awarded England’s Best Tourism Experience 2013, lies within Northumberland National Park and stretches for 250 square miles. You’ll find some real treats here, including the opportunity to observe ospreys in the wild. 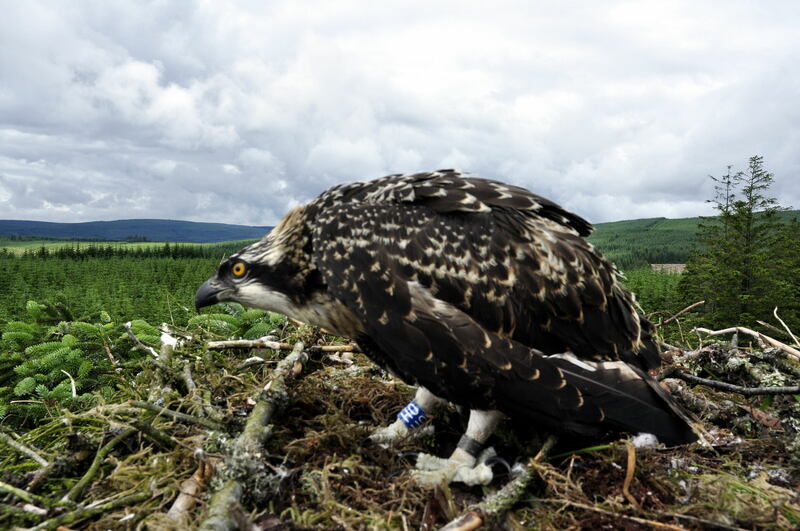 This rare bird of prey returned to Kielder in 2009 for the first time in two centuries and, in 2014, three breeding pairs set up home in the park. Osprey Watch 2015 takes place in May and June, where visitors can watch the nests through powerful telescopes and discover more about these fantastic birds of prey. The ospreys are among the Kielder Super Six species that visitors most want to see. The list also includes red squirrel, pipstrelle bats, roe deer, salmon and otters. Otters can be spotted from the hide at Bakethin Nature Reserve and there are a number of sites in the park, including Leaplish Waterside Park and Kielder Castle Visitor Centre, which are particularly good if you want to see red squirrel. Northumberland National Park is also the last major stronghold in England for this shy, russet coloured mammal and it is home to around 50 per cent of England’s red squirrel population. Red Squirrel mornings are held regularly at Kielder. Children and accompanying adults are taken on a guided short stroll to look out for signs of red squirrels and visit the wildlife hide, where hopefully they will see the cheeky creatures feeding! Children can create their own red squirrel mask to take home. Prices are just £2.00 and £3.00 for Red Squirrel Mornings.